Huze Makeovers is run by an award winning makeup artist, Fana Melville. Fana is professional, friendly and has a passion for all things beauty related. 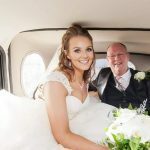 With over 8 years of experience in the industry, you can rest assured that the services she offers will make you feel extra fabulous for your special day, whether you are looking for hair styling, makeup application, or both. 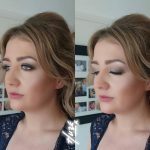 Whether it’s your prom, birthday party, a day at the races, or your wedding day, Fana can work with you to create whatever look you desire, using her vast collection of products suited to all ages and skin types. When it comes to working with a bridal party, Fana knows how nerve wracking the big day can be. Her aim is to take the pressure off you and make sure you feel at ease, making the experience stress free and enjoyable. This is why she offers a trial as part of her wedding package. 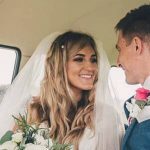 This allows her to get to know you and your personal style and select the right products to create the look you envisaged, allowing you to feel comfortable, confident, and beautiful on your special day. Fana is available to create beautiful hair and makeup looks for all members of the bridal party including the bride, bridesmaids, mother of the bride/groom, always using the highest quality products to ensure your look lasts from day to night. Fana also offers her clients one to one makeup lessons. During this service she will share with you the ticks of the trade and identify which products are best suited to your skin type, how to maintain healthy and glowing skin, how to prepare your skin to enable the look you create lasts, and show you how to colour match products to your own skin tone. You will learn a number of invaluable skills on how to create looks suited to your style, whether you prefer a natural dewy look or a glamorous and glitzy one. This service provides you with the tools to create beautiful and elegant looks from your own bedroom. If you are interested in our makeup services, or have any questions then give us a call on 07709290907. Alternatively, you can email Fana at info@huze.co.uk and she will get back to you as soon as possible. 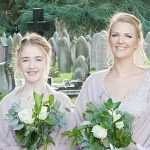 We provide mobile makeup in Chester and across the surrounding areas.